When creating a keywords list, try think outside the square and don’t just put keyword combinations together. If you’re in the digital space and are in the process of building a list of keywords, try (if you can) set a meeting or at least brainstorm with other folks in the communications team, products & services team as well as customer service team. Don’t block out any input and encourage the creative keywords and phrases to flow by listing merely the basics; as you may find creativity, is the first to suffer when the building of keywords becomes ‘processed’. Even if you are the best in your field, chances are that the competition have copied keywords off you and either improved on or developed phrases, which work a treat. So keeping an eye on the competition (both direct & indirect) is always a great idea. Be sure to look for and gather keywords from: page titles (incl. H1, H2, etc), descriptions, keyword tags, and of course the actual content. Excel: It may sound simple, but excel should house all your keywords as well as any possible titles, city and suburbs, service or product categories and don’t forget adjectives; adjectives work great as seed. The above will create the main list and can be expanded later. One hint is use the formulas to add keywords together; another of my favourites is “Shift + F7” which brings up the thesaurus, enough said. Google Keyword tool (Free to use): This is probably the most utilised and should continue to be as long as you’re not only using this…Everything is easily available via Google’s help centre for this, one hint I will say is, ensure when searching keywords you opt for the ‘Exact Match’ option. SEMrush (Free version available): Though the free version is ok if you want to have a play around first, though I’d recommend having work fork out the $70/mth so you can sign up and get the most benefit from it, very interesting info on your competition available. Textalyser & Xenu Link Sleuth (Both free): I love these 2, simply on the fact that once you see their website, you know they mean business…They’re amazingly simple and really don’t need to be anything more than that. The latter, once downloaded can be used not only on your site, but any site, i.e. your competition. Textalyser has no download required and is great for the analysis of word groups, keyword density, to analyse the prominence of words or expressions; not to mention, the ability analyse the links on pages. Again, this goes beyond simply your site and generously extends its services to other sites. The highest volume searches usually represent the least qualified clients. For example, a client searching for ‘lawyer’ is likely to be less advanced in their research process than a client searching for ‘asbestos lawyer melbourne’. Experience with PPC campaign management has shown that the lower volume keywords perform at a higher level as the client is more advanced in their research and closer to a purchase. The lower volume search terms are traditionally referred to as the ‘long tail’ of the search market, as illustrated in the diagram below. 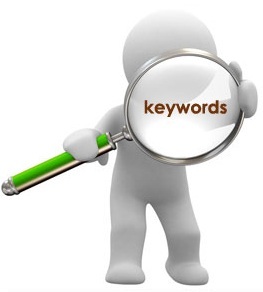 Develop a comprehensive database of long tail keywords that are less price competitive, than the high volume keywords. In the case where you already have campaigns going, you can chop and change the existing long tailed keywords. Continue to expand the keyword database over time i.e. as new tools/areas are introduced to the website, relevant keyword groups can be added to the database. Monitor and optimise PPC campaign performance to maximise ROI from the channel. 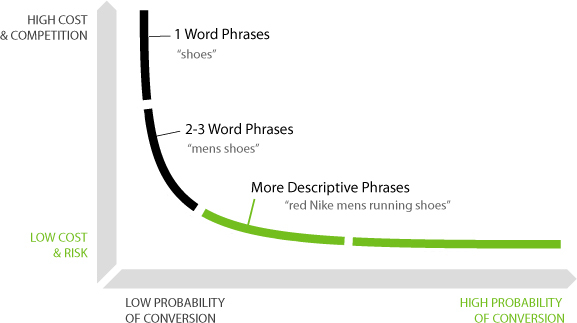 Cross channel campaign analysis to compare PPC performance against other marketing channels. Up to 75% of traffic generated via search engines is directed towards organic listings. Superior organic rankings provide a sustainable competitive advantage as they can be difficult for competitors to supersede. Unlike PPC, SEO operates independently of competitive market forces. Whereas PPC can be prone to bidding wars, a consistent and sustainable investment in SEO can be relied upon to improve and retain rankings. Traffic driven via organic rankings is free. As a result, SEO is the most cost effective online marketing tactic available, once established. Let’s face it, consumers often perceive brands at the top of search engine result pages to be industry leaders, so, who is doing your SEO?